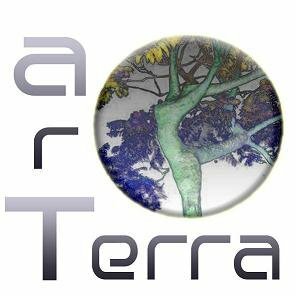 I was given the opportunity to travel to Portugal for a one-week artist-in-residency programme with a company called Arterra. The research presented here is both a collection of thoughts and experiences, as well as reflexive responses to the theories, related to the performance I was working on. More than once in this paper I am struck by the paradigm shifts and life-lessons learnt while on my journey, things that aid in mastering my trade. I travelled with readings from many of my favourite theatre practitioners and dramaturges and begin with a comment from Peter Brook, banything that happens in the theatre is like a metaphor; itbs not the thing itself, but it helps you to understand the thing because the real thing is not this but itbs like thisb (Moffitt, 2000: 147). This notion of theatre helped rekindle my affinity to live performance, which I was able to discover thanks to the residency. The themes discussed are focussed on self, and the performance of self - specifically in the style of mask theatre, and the interaction such a representation (or expression) has with language. Keeping in mind that although Portuguese by blood I do not speak the language, I understand enough to know whether someone is talking about bread or train tickets, but crossing the border I was armed with only my performance to communicate. So, fortunately, bthe maskbs greatest value to the dramatist is that it allows him to embody ideas analogicallyb (Smith, 1985: 183). In short, the metaphoric is the medium of communication in this theatrical journey. Arterra is situated in the centre of Portugal, the region known as Centro de Portugal. In the rural village of Lobão da Beira (which literally translates as bGiant wolf on the edgeb) is the home of Micaela Ferreira. She opened her home, and neighbouring plot of farmland, to local and foreign artists in search of creative nurturing, in 2010. The villagers have gotten used to all sorts of non-locals passing through their streets and the nearby town of Tondela b which serves as a wider showcase for the material crafted at Arterra. I believe that Ferreirabs service is bridging the rural with the global; connecting those with the ability to travel to those who live so close to the land itself b the benefits in this are immeasurable. According to legend, those who lived in the planes of the Besteiros valley on the other side of the Camulo mountains, defended themselves by banding together at the sound of the trumpet. This particular trumpet, played by a woman, was known as bAo tom dbellab . The name Tondela first appeared in 1758 and became the seat of the county in 1987 b the same year I was born. Perhaps just a coincidence, but I was compelled throughout my journey to realise that I was exactly where I needed to be. This sense of purpose and place has never before been so strong and it is to that feeling that I owe the self-knowledge gained. While in Portugal I was aware of the notion of the variable selves, these multiple personas we act out in our daily lives, some are intentional and others not as obvious. For example, I normally consider myself fairly eloquent (with a functional command of language and communication), in Portugal I felt reduced to a wide-eyed, babbling fool...amp; it was beautiful. In an attempt to immerse myself as much as I could I decided one morning to buy bread from the local baker. Pão/Bread is like a Portuguese symbol, a sign of the culture and the food; if you are Portuguese you know and love bread. On this one morning I walked across the village to the baker, forgetting entirely that his lack of English and my non-existent Portuguese would make for troublesome communication. After much gesticulating and repeating of words I managed to pay for a dozen rolls b needless to say it was my greatest achievement all week. Similarly, the insatiable Portuguese hospitality was shown to me countless times while in residency there. My host invited me to a few dinners with her family and friends. At these gatherings, food and drink were plentiful and conversation flowed. I am most struck by the kindness that every person showed by speaking English (which was for everyone a second language, in varying degrees of proficiency), in this way I was included and made comfortable. I left feeling like family. Out of this state (of homely security) one is able to safely feed their creativity. The beauty of the Arterra residency programme is also the solitude one is allowed. Your time is completely your own, to do with as you please. Of course, as a performer it was most beneficial for me to work daily on the floor with Ferreira. The discipline required to take part in such a residency project is high and demanded a focused work ethic, reminding me that bperforming is something more than entertainmentb (Schechner, 1985: 235). The link to my own Portuguese heritage sparked my initial investigation into Fernando Pessoa as an artist. As someone with dual citizenship, straddling between nationalities b both South African and Portuguese, I saw a common thread between myself and Pessoa. My chosen project was a performative exploration of self and our own multiplicity. Embarking on such a course is enriching, in the words of Alessandro Pizzorno, an Italian sociologist, ba function of theatre is the participation in the existence of other beings...amp; to recognise oneselfb (Rolfe, 1977: 1). The benefits of my journey to a foreign residency were destined to grow my mastery of contemporary performance. My chosen style, or performance language, was the visual theatre form of the mask, for this one of many reasons, that bthe mystique of the mask is powerfulb (Rolfe, 1977: 8). The depth of the mask seems to mimic that of the self, both concepts share an equal amount of elusiveness. Similarly, Susan Smithbs research into Modern Drama masks states that bfor the modern man the mask may not represent the face of a god but rather one of the many faces of himselfb (1985: 4). What was once an ancient ritual of spirit possession now imbues the 21st century stage with a heightened style of performance and (most-often) experimentation, taking the audiencebs imagination to primal realms of analysis. The solo mask performance I had been working on throughout my Masters course in 2012 is an exploration of the multiple heteronyms of the Durban-born Portuguese poet Fernando Pessoa, directly translated the title means The Famished Soul. I took 30min worth of material to Arterra in the hope that I would be able to craft fifteen more minutes to bring it to a complete one act show. Interestingly, it was not a Commedia or Le Coq trained school or residency, so I was feeling my own way through my next level of mask performance technique. It was not only on the rehearsal studio floor that I learnt more about myself as a performer and about the masks in Hambre del Alma but also on the streets of Lobão da Beira and especially in the liminal, public-transport spaces. I was faced with the question of what the mask actually is. John Picton, who has written books like Concepts of the body/self in Africa, claims that bthe mask is...amp; a word, of course, and an idea and a metaphor, as well as an artefactb (2002: 52). Like theatre itself the mask is layered further, Picton also states that it is about motivation, possession, performance and creativity (2002: 50), not only that but it breveals rather than conceals...amp; the artefact is itself the metaphysical presenceb (2002: 60). This helps us see the depth to the world of mastering the mask; both physical object and spiritual essence. There are many opinions of masks and their use throughout history, research spanning multiple fields of study. Smith (1985) claims that the mask is usually the public or false face while the unmasked face is the private or true one (11). Taking this into account with regards to Hambre del Alma, the full-face character mask built to represent Alberto Caeiro represents the public face of the Pessoa character. This is an accurate assumption because Caeiro, according to Pessoa himself, was the master and creator of the other heteronyms: Ricardo Reis and Alvaro de Campos. In the performance then, when the actor removes the Caeiro mask we should be greeted with an unmasked (true) self, according to Smith, which in the performative sense would be the actor. Instead another form of mask is employed, the actor emerges wearing a hat, representing yet another created (and therefore pretend) self. The piece thus plays with the perception of concealment, much the way a magician toys with illusion. Not only does the performance itself play peek-a-boo, but it shows an awareness of that additional presence of the mask, thereby becoming a primal, almost ritualistic entity which allows those present to engage with an amorphous concept, the metaphor of theatre. I therefore agree with Pictonbs theory of masquerade as ancestral presence (2002: 62), simply because of the relationship I have developed with every one of the performance masks used in Hambre del Alma. The mask is powerful, and it demands respect. I learnt this on a personal level. There were many realisations that occurred to me while travelling with the full-face Caeiro mask. 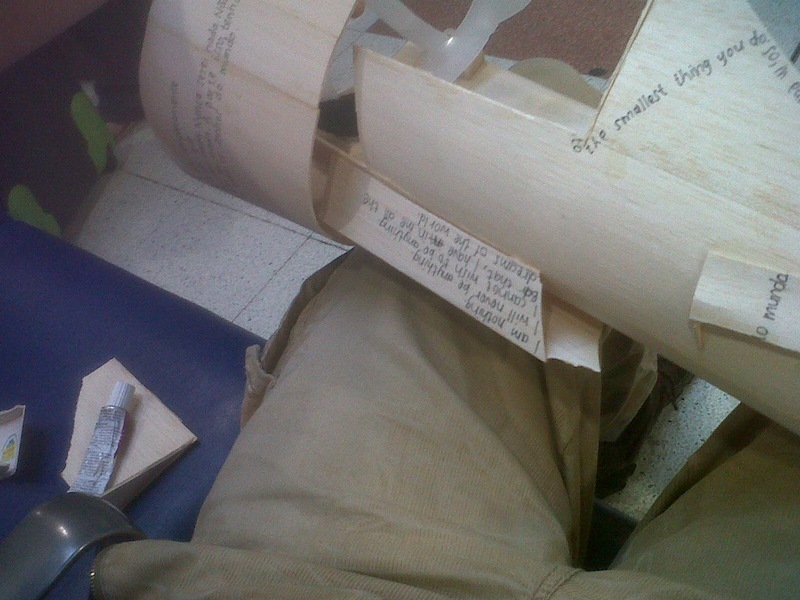 There was no way of transporting the Balsa-wood creation in a suitcase so I was forced to carry him by hand through the streets and airports of all the cities I moved through. A note from my travel diary reads: "carrying/travelling with a mask is like transporting a pet in a bag. It canbt see anything until you open the bag... maybe thatbs why my mask threw a tantrum and broke, it hadnbt seen anything. I just realised you have to wear it to show the character (or spirit of the mask) where you have taken it. I just showed him the view from my room at Arterra... he seems happier". And I truly felt a sense of relief as soon as I had walked around with the mask on. There is definitely an energy in the mask, an unplace-able, unshakable dynamism - which is what made it so easy to value it when it broke. 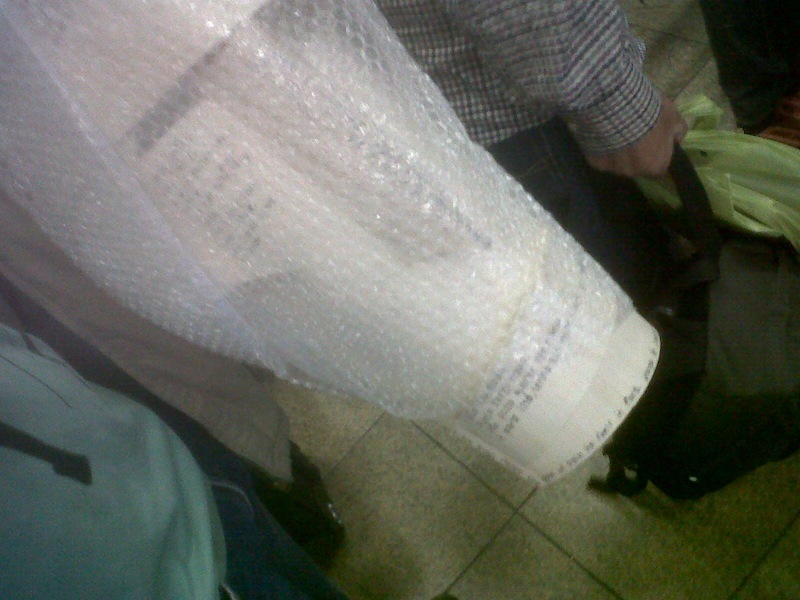 When passing through European security, on my way to Portugal, the mask got caught in the X-ray conveyor system. I swung around when I heard the crack and the crunch. I was horrified and walked off as if I were cradling a dead puppy. One of the more defining features of my journey was this understanding that the performance I was creating needed to be accessible to both English and Portuguese speaking audiences, and in essence audiences of any language or cultural background. Luckily by taking the non-verbal theatre route I was able to bridge linguistic divides, for according to Smith "in its supportive, complementary function, the mask should make a character or idea immediately accessible" (1985: 181). In his chapter on the Death of the Author Roland Barthes states that "in the multiplicity of writing, everything is to be disentangled, nothing deciphered" (1977: 147). This gives one the impression of a web of meanings, which seems to echo the multiple characters of Fernando Pessoa and the mysterious layers of the mask. Yet this phrase only really becomes important in this particular context when we consider its addition to Barthesb other claim, that "the text is plural...amp; not a co-existence of meanings but a passage, an overcrossing... the space where languages circulate" (1977: 159). The impression thus shifts to something more like a ferry crossing, rather than a web. To follow through with this analogy, if the performance text is like a ferry crossing then the mask (as a stylistic, presentational choice) is the ferry itself. The vehicle for communicating across various languages is the silent medium of the mask. Something I felt rang true on either side of the world is the economic crisis regarding the arts specifically. I was fortunate enough to be given a tour of the Novo Ciclo theatre complex in Tondela. They had been given a smaller budget than usual from the government, which is a valid problem, yet it bothered me that they had not managed to pull their community together to make their premises a place worth visiting. The afternoon I visited the complex not a single venue, from rehearsal room through to either of their multiple venues (inside and outside) had anything running - nothing in process, no live music, not even a yoga class. I was struck by the current of faithlessness in our own product as artists. I believe that running a theatre venue requires one to believe that the service/product that the team of experts creates is valuable worth being sold. That way the performance (and the theatre) will cover its own costs, therefore not relying so heavily on the funding from a government that wants to focus on things with quantifiable, economic value. However, whether one need discuss the metaphysics of a performance style, its efficacy across cultural borders or the similarities between arts administration "the root, obviously, is that at the basis of anything we can talk about, there's life... life is inevitable" (Moffitt, 2000: 130). My choice to work with non-verbal theatre and specifically through the medium of the mask is because I have been fascinated by the technique from the start of my postgraduate studies but never had an opportunity to explore it in depth. As part of my Masters I was granted the freedom to research anything, and being most interested in reaching as wide an audience as possible b which I believe is a prerequisite for performance across all media in the 21st century, I chose the visual theatre. In addition we are presented with the notion of text as the bmessageb between sender and receiver, the communication content itself. The modern stage was riddled with traditional ideas of text, the spoken word, but that type of language is contested by non-verbal performance, "the mask challenges the primacy of language" (Smith, 1985: 9). With a history of traditional acting throughout my studies, complimented by years of community radio work, my voice has been my tool for performance. In seeking to become a master of contemporary performance it seems only fitting to reach for the challenge of the other, the alternative. I believe that because bthe mask can offer self-knowledge, enlargement, objectivity, and profoundly moving experiencesb (Rolfe, 1977: 10), it helps me become a master of my art. Barba, E. 2010. On directing and dramaturgy: Burning the house. Routledge: London. Barthes, R. 1977. Image, music, text. Fontana: London. Bogart, A. 2001. A director prepares: seven essays on art and theatre. Routledge: London. Emigh, J. 1996. Masked Performance: the play of self and other in ritual and theatre. University of Pennsylvania press: Pennsylvania. Moffitt, D. (ed.) 2000. Between two silences: talking with Peter Brook. Methuen Drama: London. Picton, J. 2002. bWhatbs in a maskb, in F. Harding (ed. ), The performance arts in Africa: a reader. Routledge: London. Rolfe, B. 1977. Behind the mask. Persona Products: San Francisco. Schechner, R. 1985. Between theatre and anthropology. University of Pennsylvania press: Pennsylvania. Smith, S. V. H. 1985. Masks in modern drama. University of California press: Berkeley. Tristan Jacobs graduated from Rhodes University with his Honours in Drama in 2009, specialising in Acting, Writing and Contemporary Performance. There he won the Patrick Mynhardt prize for excellence in acting. As an actor he has appeared on the TV soap Binnelanders and was fortunate enough to work with Andrew Buckland on Richard Antrobusb Stilted. He has also been a part of the acclaimed physical theatre show Hats for two years. He has worked as a Speech and Drama adjudicator and workshop facilitator for the Eisteddfod and National Schools Festivals. Tristanbs research has been published in the South African Theatre Journal as well as presented at the ASSITEJ World Congress in Sweden. He took part in the South African Young Playwriting programme coordinated by Arts Council England as well as the TWIST writing development programme. One of his works was published in the Proyecto 34 S Theatre-in-translation project in Argentina. His collaborative work Les Pigeons won Best original script at the Musho! Festival 2012 and his play Dance the Dance was selected for UJbs SA Shorts publication. He has exhibited work at the Wits Arts Museum and presented at the international A-Maze festival in Johannesburg as well as at the GIPCA symposium in Cape Town. Something that theatre companies like FTHK understand and have utilised with their Theatre for Deaf audiences.